Ariel Suites – McParlane & Associates Inc. 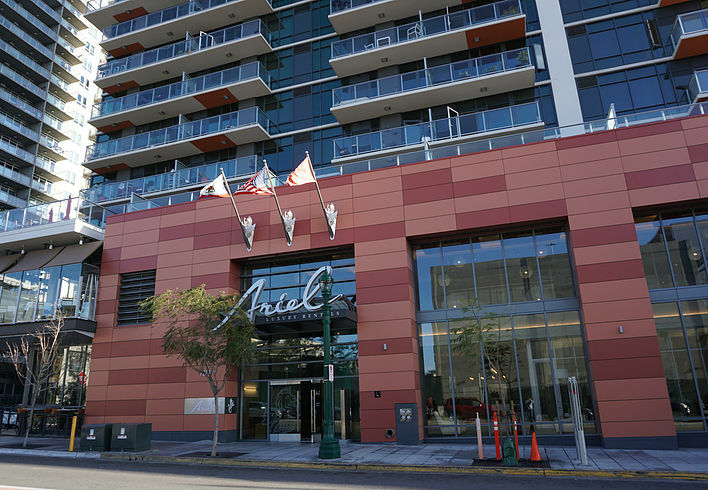 The Ariel Suites project consisted of a 25-story mixed-use residential facility with four and a half levels of subterranean parking totaling 125,000 sf. The 200,000-sf tower contains 224 residential apartment units consisting of 179 one-bedroom units, one studio unit, 40 two-bedroom units, and four penthouse units. The 3,500-sf podium level consists of retail, residential amenities (business center), lobby, mezzanine area, and circulation.